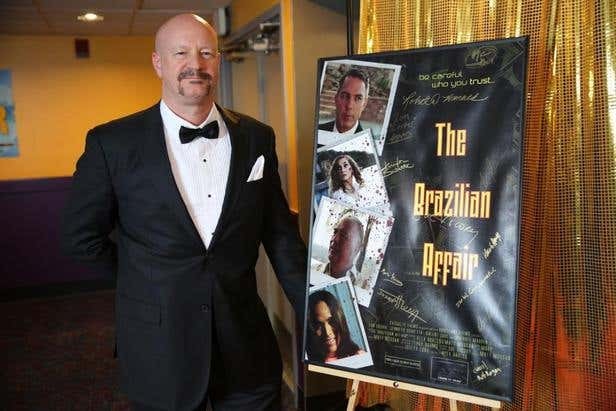 Casualty Films Executive Producer and actor Matt Morgan felt like being steamed under the suit he wore on the set of their latest short film. 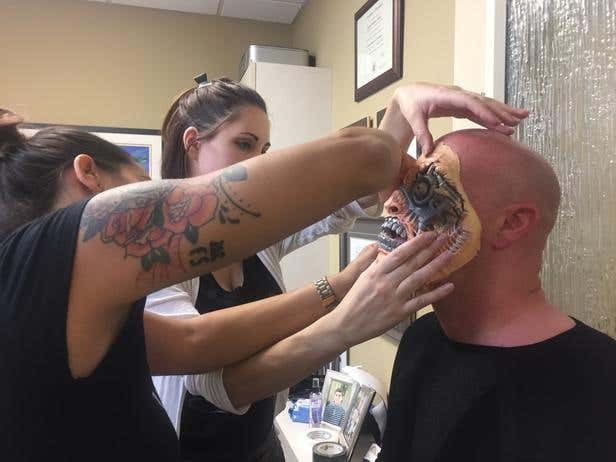 The unbelievably hot weather in San Diego, California melted the adhesive of his facial prosthetic, which he had to wear for at least six hours. He played a cyborg from the future who time-traveled to the present to cause havoc. The role was challenging and demanding, but it was well-worth it for Matt. 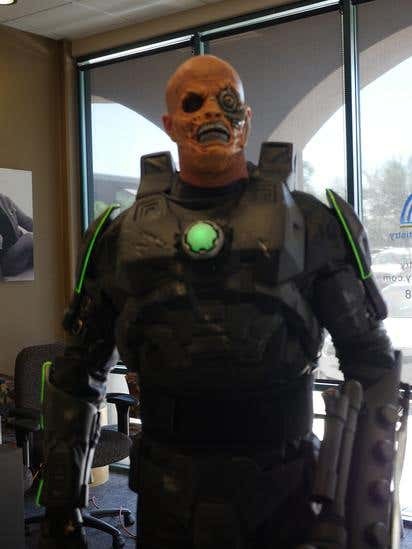 “The cyborg was both disturbing and plausible in appearance and design,” Matt said about his character in the sci-fi comedy film, Time Free Dentistry. “There were two design motifs that I wanted to combine into one form. The first was the suits from Tron: Legacy and The Borg alien race appearance from the Star Trek Universe,” he added. The mashup turned out really well and the director was pleased with the creation. The team in charge of the costume did a great job. However, they couldn’t pull off the scene where the cyborg passes through the time portal without looking fake. “The story revolves around a dentist’s first day experience at work where he unwittingly summons characters from different periods. We want to have a 3D element as the cyborg passes through the portal,” Matt shared. They decided to find a 3D artist to create the model. Matt talked to a couple of artists locally, but he felt like they were overcharging. 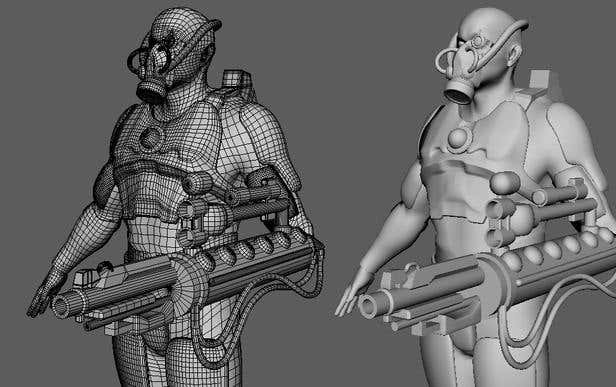 "I have no problem paying an artist for their time and effort, but overcharging someone for a model that was just a wire-frame without any rigging or shading should not cost US$400. This rate was three times what I expected," he said. A crowdfunding platform was used to raise the money necessary to make the film. Most of the funds went through the filming process, and as such, Matt had to limit the budget for other projects. Failing to find an artist locally, he searched for more options online. Freelancer.com appeared at the top of the list. Shortly after posting his project and getting qualified bids, he interviewed two bidders. "These two took the time to look at the project and examine the photos. They were very thoughtful with their responses. I made my decision based on who I felt was the best candidate, just like an employer going through resumes," Matt said. Ultimately, he picked Juan (DonJohnCG) from Buenos Aires, Argentina. Juan was very detailed, which was precisely what they needed in order to pull the scene off. According to Matt, they simply sent him high-resolution photos of the cyborg and he duplicated the look spot-on. “Getting the components right is crucial because we need to merge the real one with the 3D in the scene. The weapon system of the cyborg was the most difficult to do, and Juan totally nailed it. I’m really impressed with the work. He was very professional and his rate was within our budget,” said Matt, who paid the freelancer US$155. Get started! Post your project here.